Barcode software for mac download builds colored barcode labels, ribbons in your own style for fulfilling business needs and requirements. 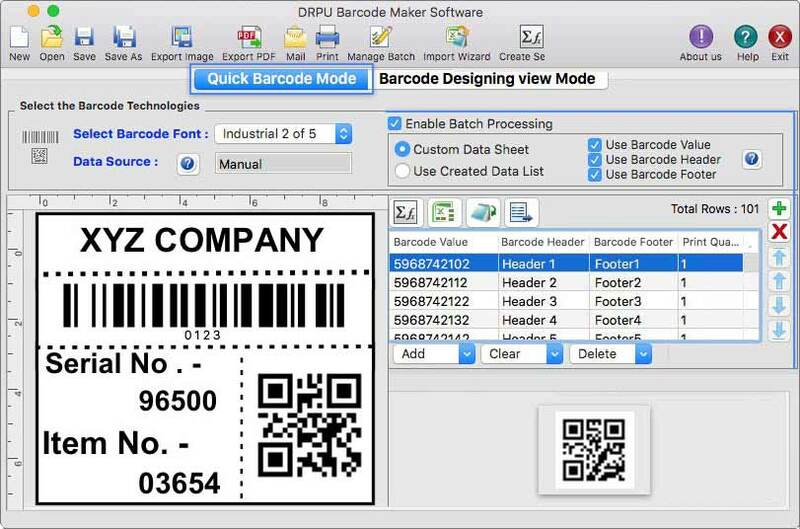 Free barcode generator for Mac OS X saves designed barcodes in many graphics format like png, bitmap, jpeg etc. Support for Free Barcode Generator For Mac OS X is available from the Publisher site. Planetsofts.com didn't scan Free Barcode Generator For Mac OS X for viruses adware, spyware, or other badware. For safety reasons, we recommend that you always keep an updated antivirus installed on your pc when downloading and installing software from the web.